"The build quality of the Auctus is superior to anything else that I have seen. I can operate in conditions where no other machine would work. It is an extremely versatile machine." "The Auctus is a true all rounder for me. Its versatility is the most attractive aspect of the machine. No other machine can work this well in all situations, clay, stitching in or on burnt off ley. The Auctus can do it all." "We are extremely happy with the Alstrong Auctus. It generates an excellent seedbed in just one pass. Its build quality is what caught our attention and the results in the field speak for themselves." 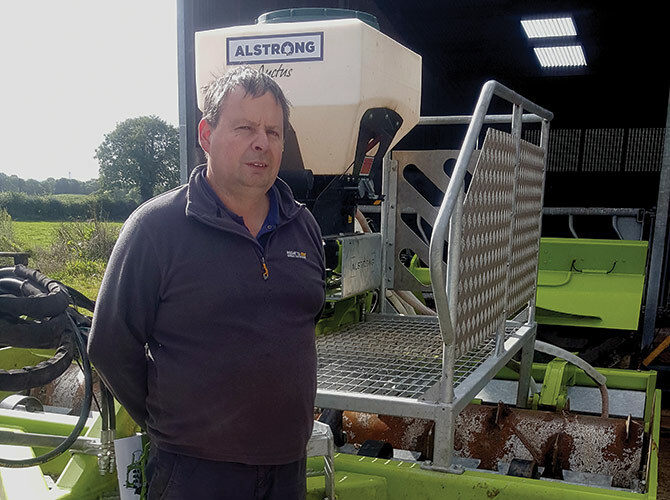 "We have been re-seeding with various machines for the past 12 years, the Alstrong Auctus is by far the most impressive machine we have used to date. Its build quality is second to none"
"I am very happy with the Alstrong Auctus as it allows me to provide many services to my customers without having to use multiple implements. It is a real all-in-one machine."